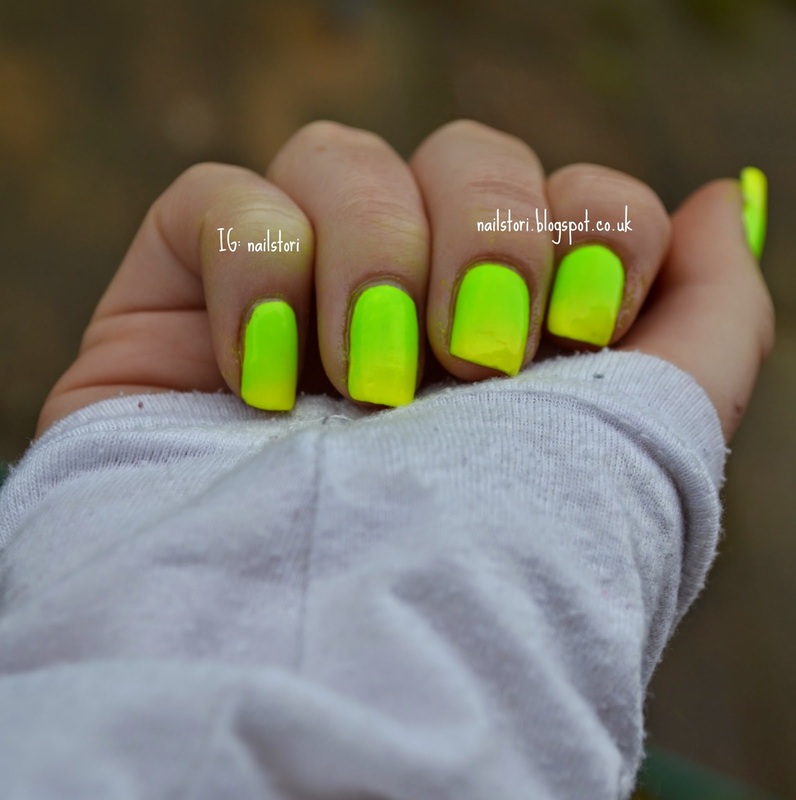 I recently got this models own neon green polish and didn’t know how to use it in a design until I saw the lush logo. Then this happened and I love it. For this design I used: OPI – natural base, Sally Hansen – White on, Models own – Flip flop, Wynie – 969 (I have never heard of this brand, I got it in Lisbon because I loved the colour) and Sally Hansen – Big matte top coat. At first the colours weren’t showing up as bright as I had hoped so I had to sponge on more than I would normally to achieve this. However, I did do this in the evening so it was dark – when I turned a big light on I was almost blinded. 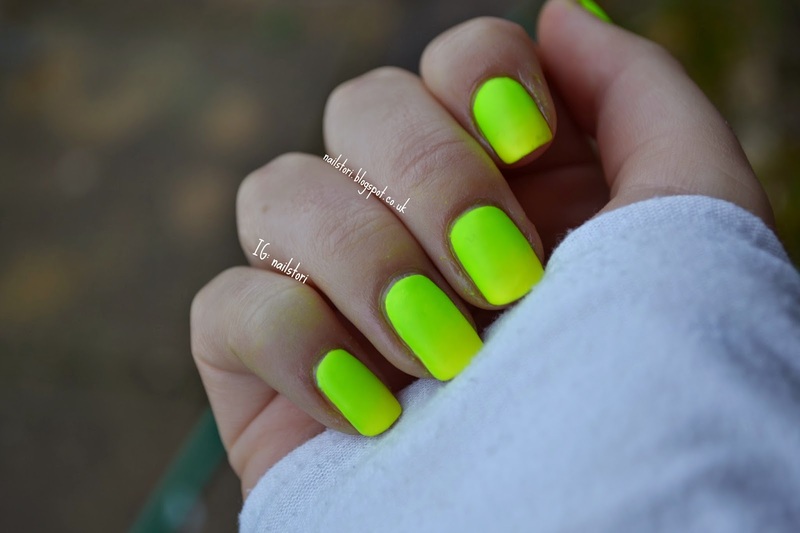 It’s safe to say it is a very neon ombre! I used the matte top coat for the first time on an ombre and I really like it. I was worried that it would separate the colours but it actuallu makes them look much more blended. So glad I bought the matte coat, it is so cool and works so well with these colours.